Inhale…exhale. We can’t imagine a more majestic place to relax and practice mindfulness than the serenity of the Himalayas. 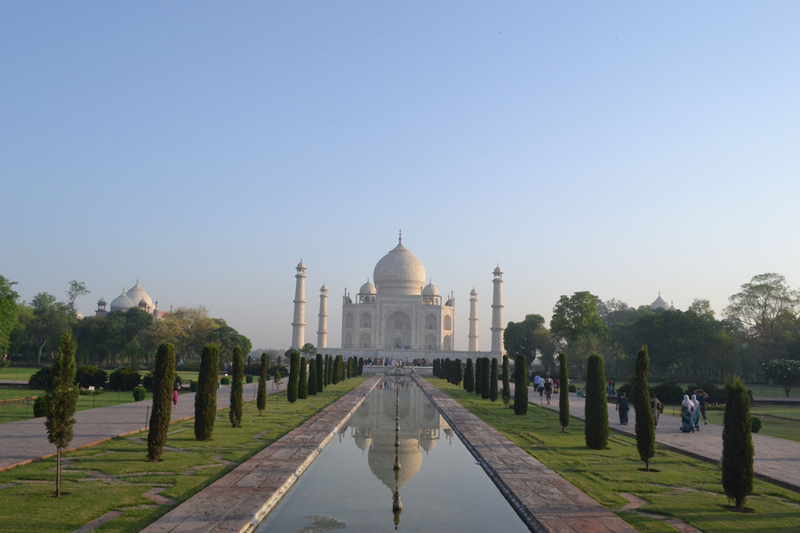 This trip balances the mind, body, and spirit while exploring the beauty and diversity of India’s landscapes and cultures in an authentic and meaningful way. We’ll bring you on an entirely unique and unforgettable two or three week journey focused on mindfulness, discovery, and balance. It is a physically rewarding, spiritually fascinating, and culturally rich travel experience that will leave you feeling both grounded and totally free. Each part of your journey will offer a balanced focus on your mental, physical, and spiritual well-being through meditation and yoga, adventure and cultural activities, community engagement and volunteer work, as well as time and space for the exploration of personal interests. Our thoughtfully hand chosen itineraries are balanced with “you time” when you will have the freedom to explore or simply relax and take in the extraordinary majesty of your surroundings. 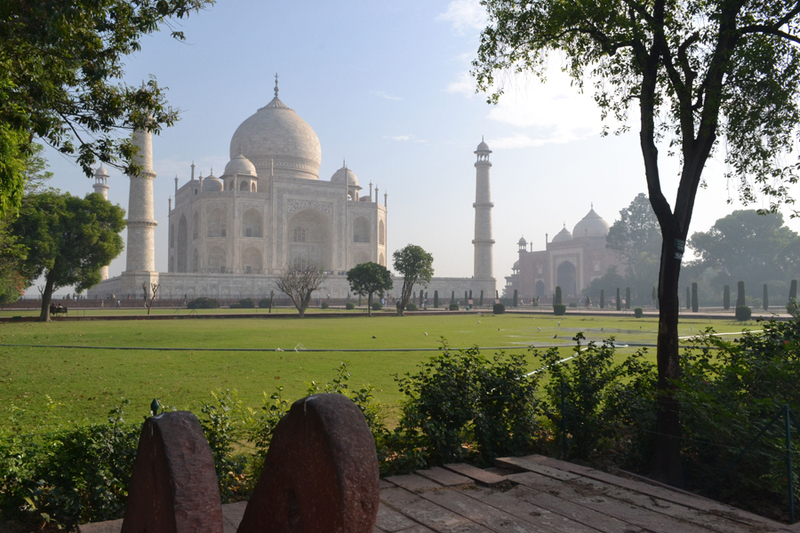 From the delights of Delhi, to the prairies of Punjab, to the Tibetan paradise of Dharamsala, to the Ganges-side yoga capital of Rishikesh, and the magnificence of the Taj Mahal, you will experience the best of this magical region alongside like-minded travelers in safety and comfort. Our intimate group of up to ten offers a safe space to form friendships and experience the empowering energy that is cultivated within a group of people on a life-changing journey. 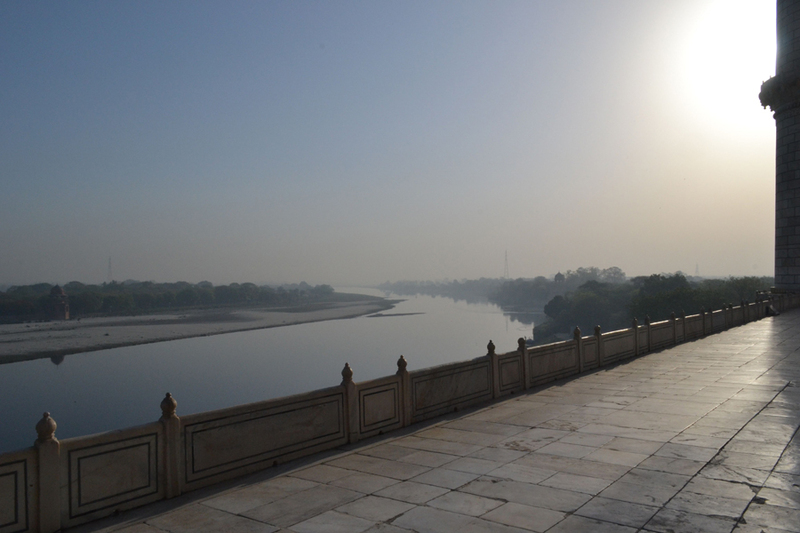 Your journey begins in India's bustling capital Delhi, where you'll be picked up from the airport and brought to meet the groups in Rishikesh! Rishikesh is a charming and quaint town that sits idly along the banks of the Ganges. 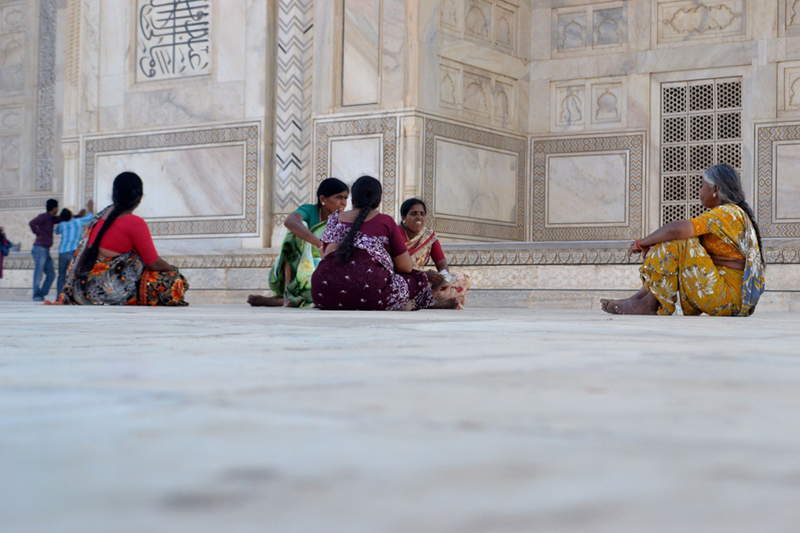 It is both a holy pilgrimage site for Hindus to bathe in its holy waters and considered the world's yoga capital. Cradled among the green foothills of the Himalayas, Rishikesh lines the banks of “Mother Ganga” where she leaves her Himalayan source and enters the plains of North India. “Shanti Shanti” is the motto here, meaning peace, rest, calmness, tranquility, or bliss. In Rishikesh you'll have a chance to reflect along the banks of the Ganges River with daily yoga and meditation. During free time, you can hike, take a class, or you may want to enjoy one of Rishikesh’s most “shanti” ubiquitous pastimes by chilling out in an open air café on the banks of the Ganges, sipping honey ginger lemon tea with a book or a like mind. 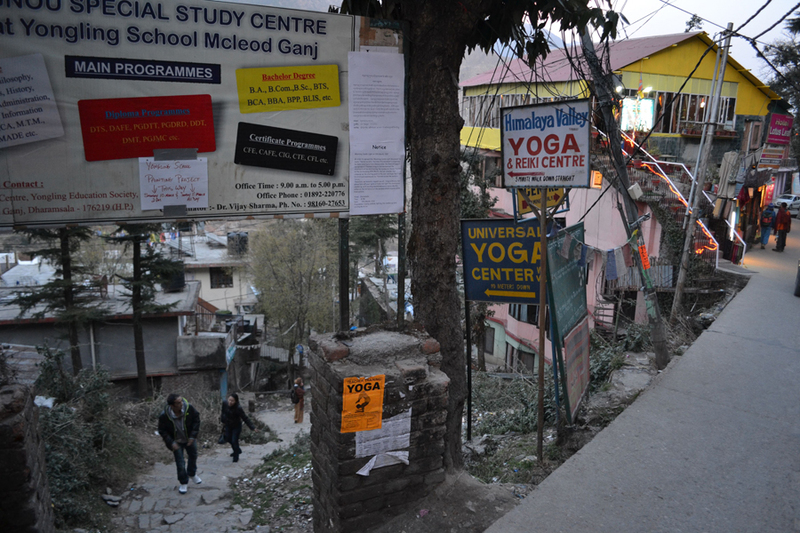 Nestled at 2100m in the foothills of the Himalayas, McLeod Ganj is home to the Dalai Lama and his exiled followers. With a backdrop of snowcapped peaks overlooking the Kangra valley, we'll discover the fascinating intersection of Tibetan and North Indian culture that make this town like nowhere else on earth. You'll begin each day with a yoga practice and have plenty of time to explore everything this town has to offer. 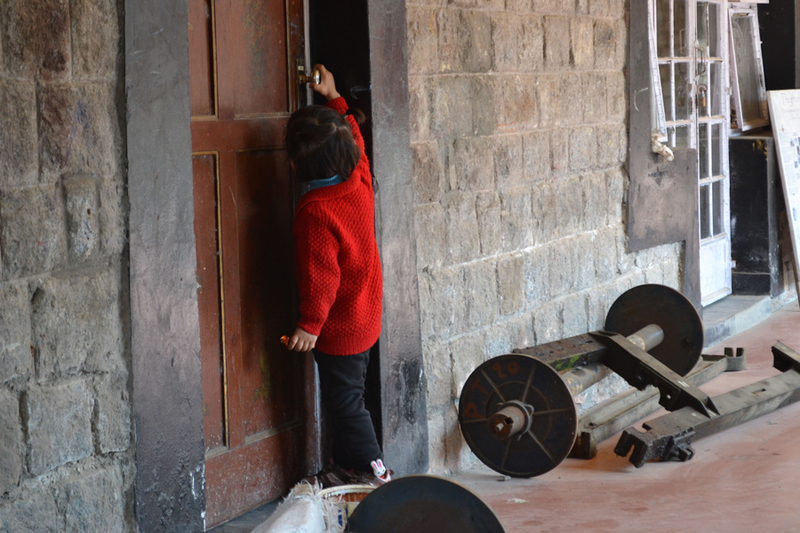 Hiking through the forests to nearby villages, chatting over chai wirh monks, and attending classes from Buddhist philosophy to woodcarving, time seems to simultaneously crawl and fly in this mountaintop town. 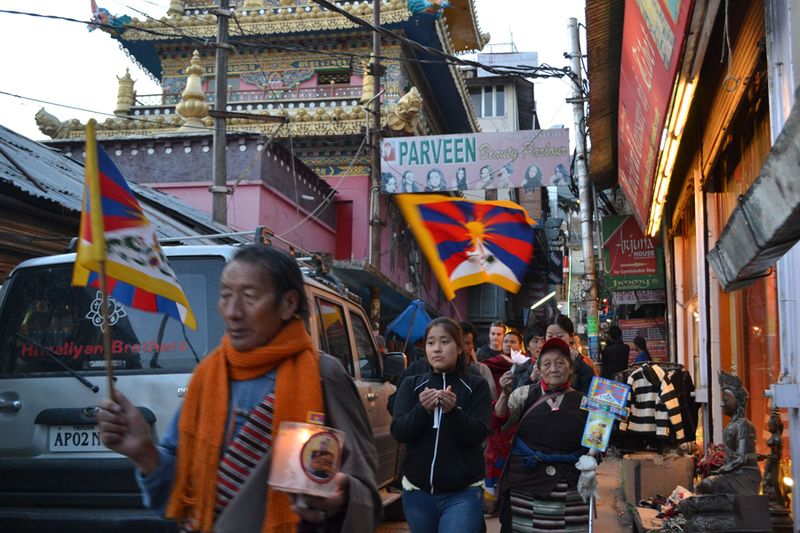 We’ll have the opportunity to volunteer with a local grassroots organization for Tibetan Refugees where you’ll discover a truly authentic exchange of culture. Learning about their culture, hearing their fascinating stories of exile, and teaching them about your culture and language is an appreciated, heartwarming, and meaningful way to engage with the local culture. We'll discover local issues from speakers and films, learn to cook local cuisine, and hike through the pine and rhododendron forests to the majestic snow-capped peak of Mount Triund. You'll have plenty of time to relax, reflect, explore the streets, and peruse the plethora of spiritual, adventurous, and cultural activities this diverse town has to offer. 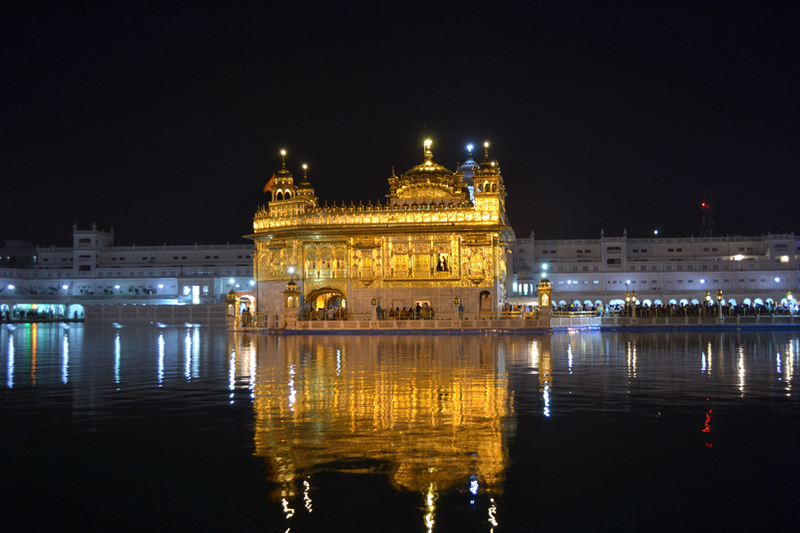 Amritsar is the Sikh spiritual capital of India and home to the magnificent Golden Temple. 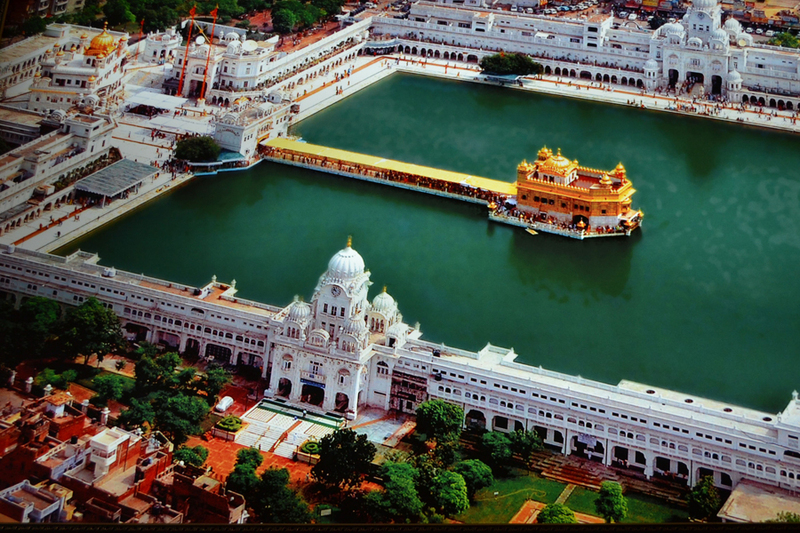 A golden gudwara surrounded by a pool of crystal holy water, this is one of the most spiritual places in India. We'll take part in traditional langar, a display of the Sikh principle of equality between all people, where thousands of visitors share a meal along rows of mats lining the temple floor- the rice pudding is world famous! Each day volunteers serve 100 000 people free of charge. 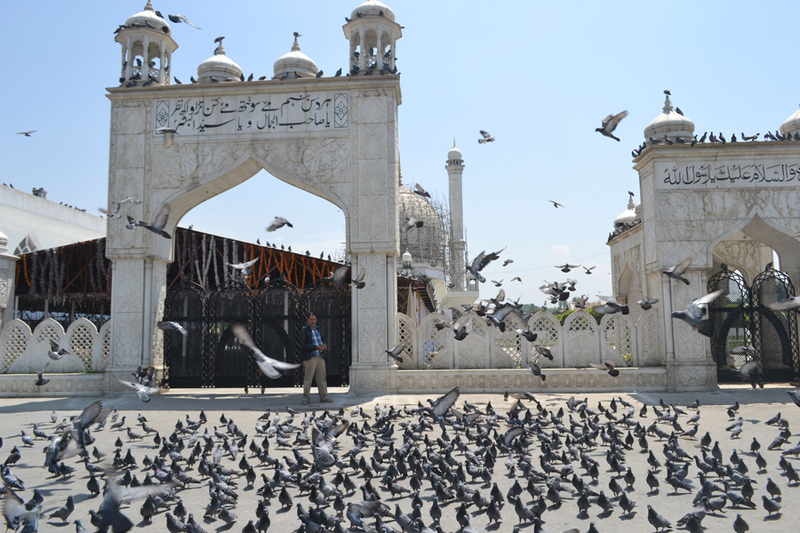 Outside the serenity of the temple, the city of Amritsar is a bustling Punjabi centre. We'll visit the surrounding local markets and key historical sites that tell of the region's tragic history and present reality. To end the evening, we will drive to the Baaga border for the strange and highly entertaining boarder ceremony between the Indian and Pakistani armies. 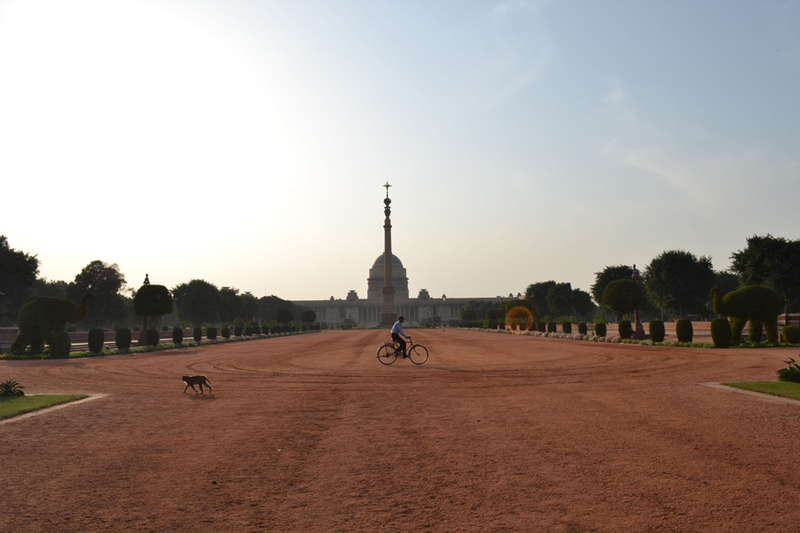 Depending on your departure time, we will have some time to explore India's captial city! We will navigate the bustling streets, practice our bartering skills in local markets, and visit the city's key historical and spiritual landmarks. Week one of the retreat will follow a daily schedule of yoga and meditation, three ayurvedic meals, optional classes on yoga philosophy and theory, and evening prayers and breathing. 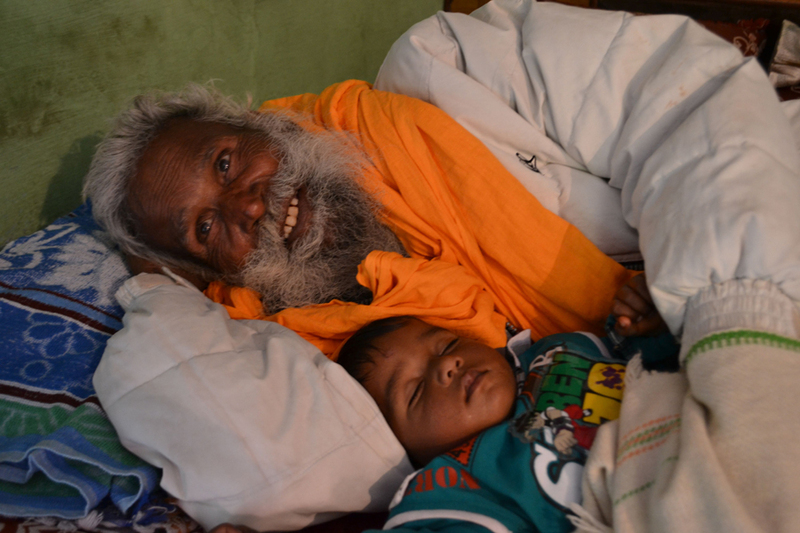 You'll have the option to join group activities such as evening aarti on the Ganges river, hikes in the foothills, and a visit to an orphanage. This is the free and breezy part of the retreat, where you will have more "you" time to explore and breathe in the mountain air. We think that a week of ashramic life in Rishikesh will put you in the perfect mindset to explore what calls you in this very special place. We will begin each morning with asana class on a rooftop overlooking the Kangra Valley and peaks of the Himalayas. 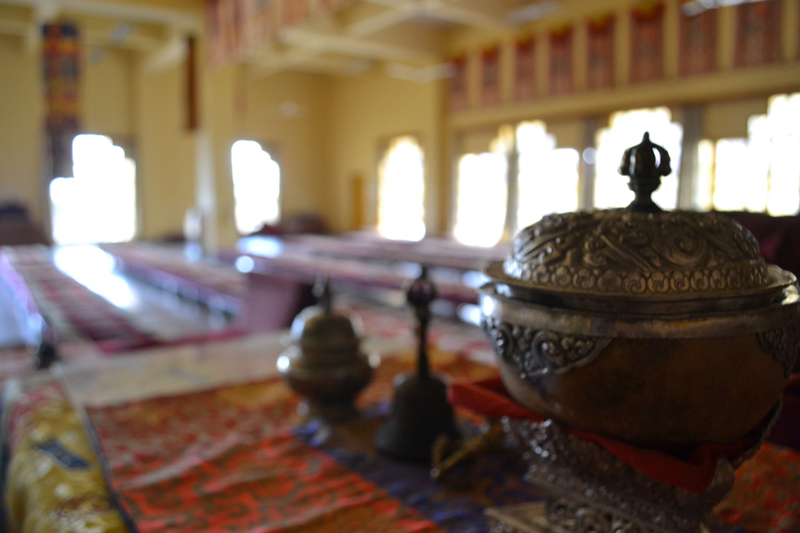 Each afternoon, you will have the opportunity to volunteer with a locally run organization that offers conversational English exchanges for Tibetan refugees. 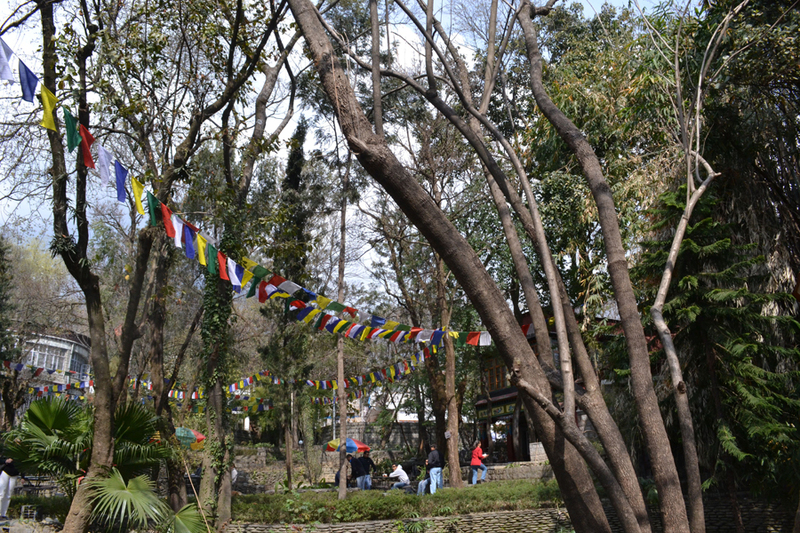 You will have plenty of free time to exploe the town as well as the option to join in any of the planned group activities, such as hiking to Mount Triund, exploring His Holiness the Dalia Lama's temple, visiting the Norbulinka Institute of Tibetan Culture, and more! While meals are not included, your guides are there to offer amazing food recommendations, activity suggestions, and any support you seek. This is one of our favorite places on this earth and we can't wait to share it with you. Learn from community leaders, activists, films, and site visits about each region's complex history and present realities. Take a train journey across the nation's shifting landscape, and experience India the way the locals do it. 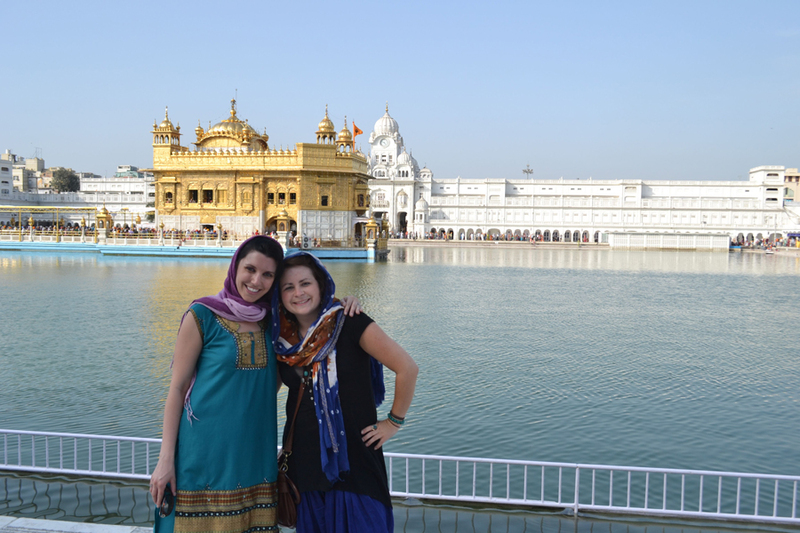 Soak-up India's treasures: Amritsar's Golden Temple, the frustrations and delights of Delhi, the serenity of the Himalayas, and the unparalleled majesty of Agra's Taj Mahal. Sweat Equity: Have Friends? Recruit a friend and receive $100 off in sweat equity!